Since this is something our users seem to love, we added a dedicated block to add iframes to your Style Guide. Just enter the URL of a web page, and Frontify embeds it to your document. 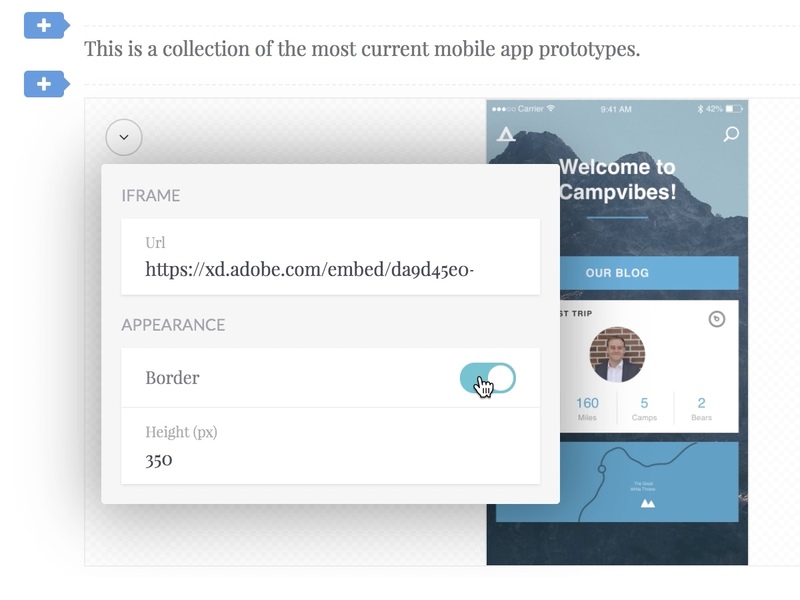 This will come in handy when you want to share and document your externally created prototypes in one single place. Do you need help to get started? We've written a help article guiding you through all the necessary steps.